A bombing injures private enquiry agent Cyrus Barker, leaving it up to his soon-to-be-married junior partner Thomas Llewelyn to find the person trying to murder them both before it's too late—in the newest mystery in Will Thomas's beloved series. In 19th century London, Cyrus Barker and his associate Thomas Llewelyn are renowned private enquiry agents, successfully employed by the highest levels of Her Majesty's government as well as private citizens. Their success, however, has led to their acquiring a powerful group of enemies, many of whom are determined to have their revenge. 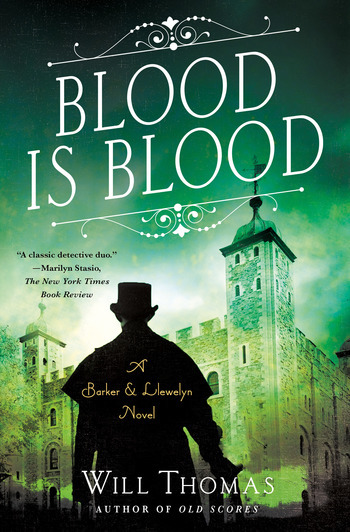 With time running out—and his bride-to-be reconsidering their marriage—Llewelyn must (with the sick-bed bound Barker's help) uncover the killer and the plot before it's too late. WILL THOMAS is the author of the Cyrus Barker and Thomas Llewelyn series, including Hell Bay, Anatomy of Evil, Fatal Enquiry, The Black Hand, The Hellfire Conspiracy, The Limehouse Text, To Kingdom Come, and the Shamus and Barry award-nominated Some Danger Involved. He lives in Oklahoma.